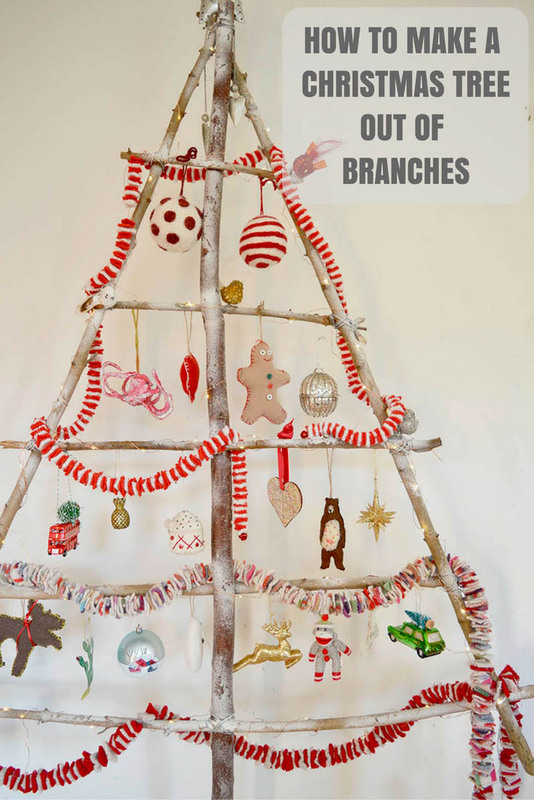 I love a flat Christmas tree, last year I made a stylish branch DIY Christmas tree. This looked great in my front room and didn’t take up half as much space as a real Christmas tree. As much as I love a real Christmas tree we don’t really have the room for one. Flat Christmas trees just don’t take up as much space. I still have my branch Christmas tree but I thought it would be fun to have another flat Christmas tree in the dining room this time. I really enjoyed making another flat Christmas tree this year. 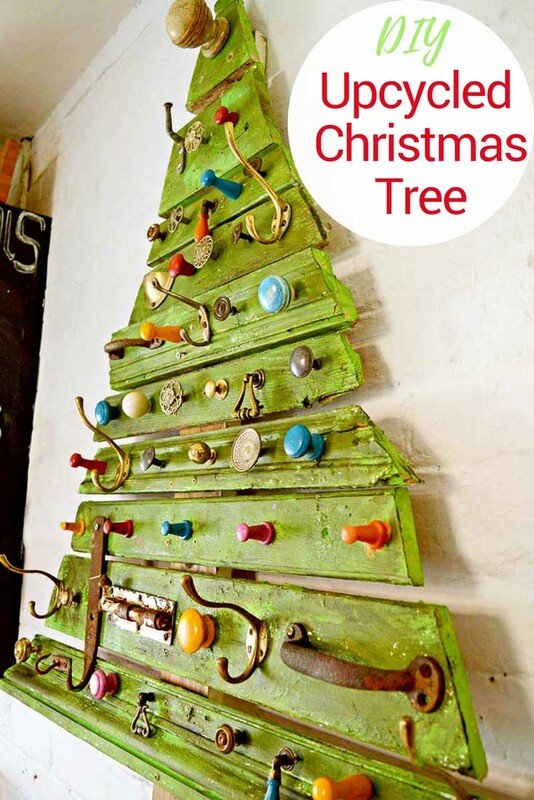 This DIY wooden Christmas tree is very different as it has knobs and hooks and is made from architectural salvage. I think that the knobs look like Christmas ornaments in themselves especially the coloured ones. 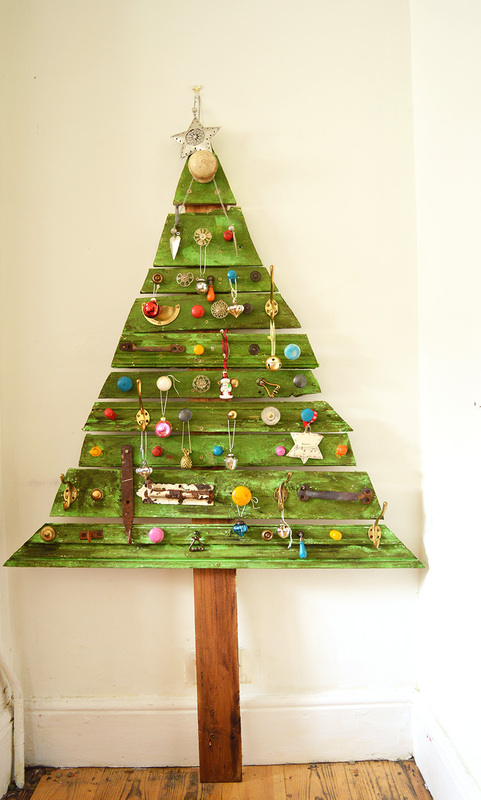 The tree can be simply hung on the wall or you can make a stand for it and have it free standing. The first thing to do is to gather up all your wood scraps and lay them out on the ground to work out how the Christmas tree will look. Put the smaller pieces of the wood at the top. To achieve a typical Christmas tree shape using a sharpie, mark where you will need to saw your wood planks. So that the ends, slope. Using a reciprocating saw if you have one, saw along the sharpie lines. 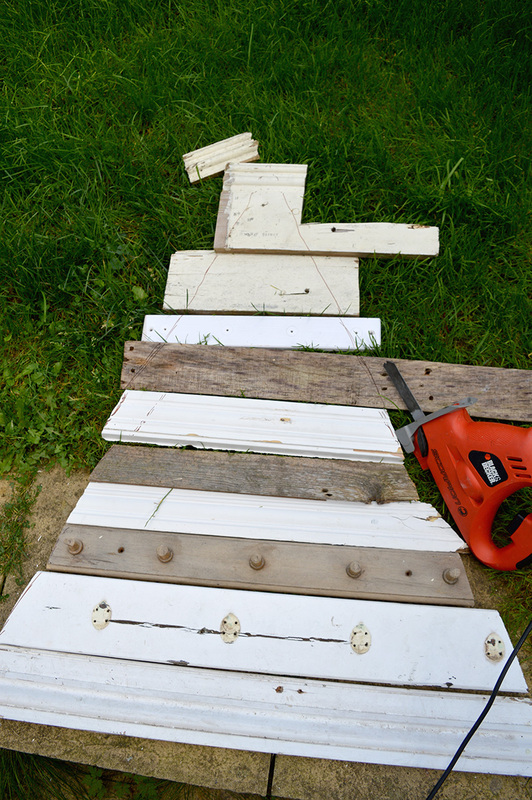 Don’t worry if you don’t have an electric saw you can always do this bit by hand but it will just take a little longer. 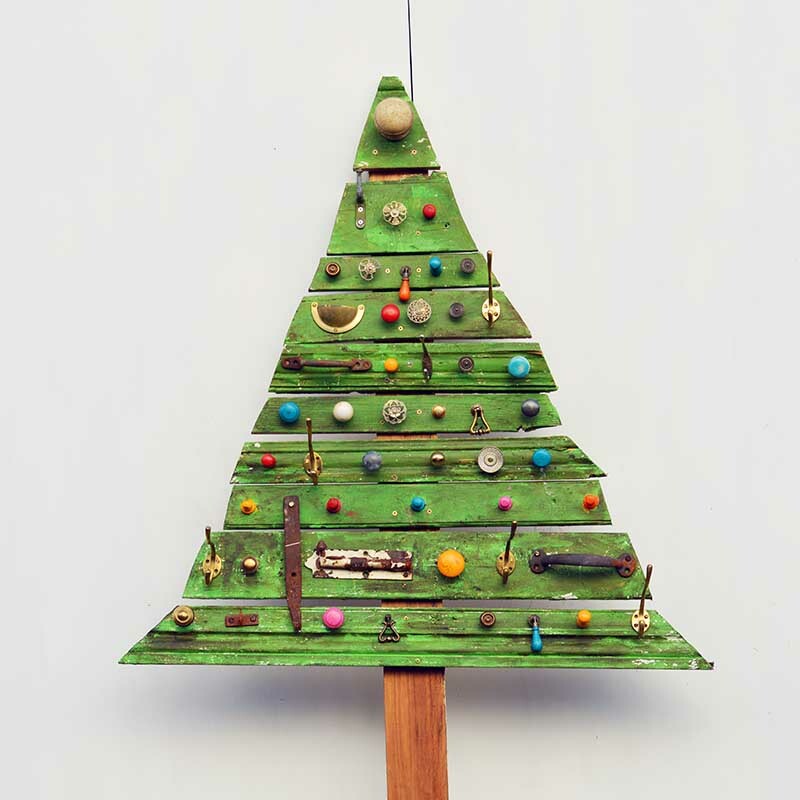 Before screwing your Christmas tree together paint the wood. However, before painting, you can brush a Crackle Medium onto the wood to give a more rustic finished look to the wood. For the paint, I used Annie Sloan chalk paint in Antibes green. To add to the aged wood effect I finished it off with a coating of Annie Sloan dark wax. Stain the wooden trunk dark brown using the dark wax. 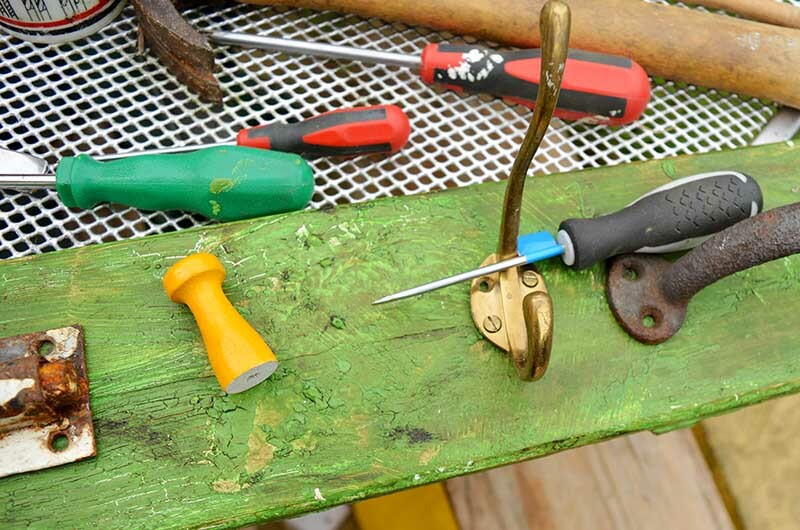 Prepared the knobs and hooks, by scraping away any excess rust from the metal painting the wooden ones. 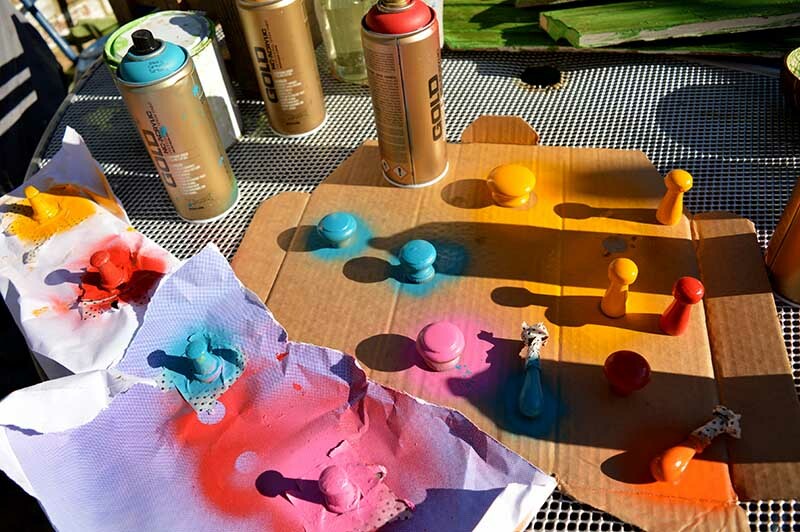 I just used what spray paints I had in my craft cupboard to paint the wooden knobs but you can use any leftover paints you have. The placement of the knobs and hooks may look random but they weren’t quite. 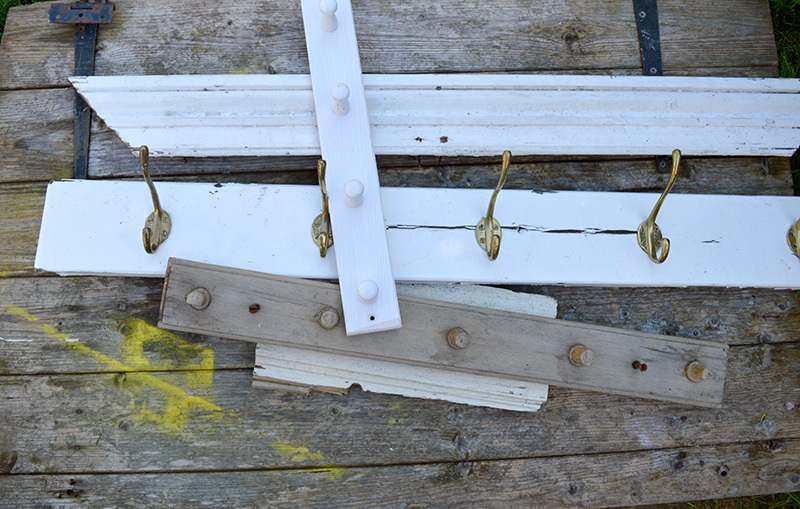 Lay the painted wood branches down on the ground and then place the knobs and hooks where you think they look best. Then taking one branch at a time, screw the knobs and hooks into place. Lay the trunk flat on the ground and starting with the top, one by one screw the branches of the Christmas tree to the trunk. I used 2 screws per branch. 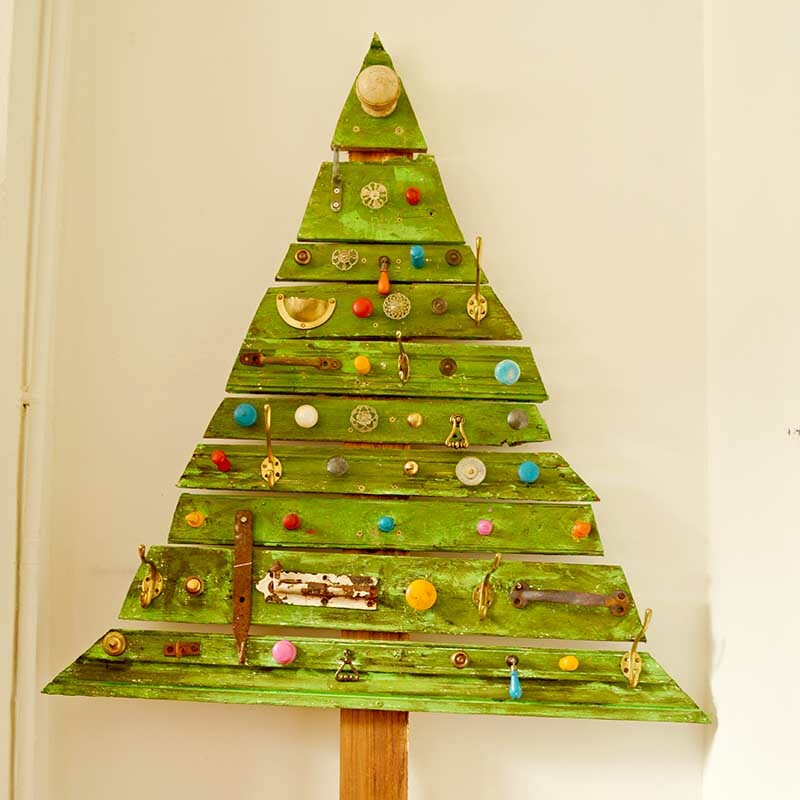 The original plan was to hang decorations from the all the knobs and hooks of my flat DIY wood Christmas tree. However, the knobs and hooks are like Christmas ornaments in themselves so I think I might just leave the tree as is, and hang my decorations elsewhere. I love my flat Christmas trees as you can just hang them or lean them against the wall, taking up very little space. You might want to check out the stylish branch Christmas tree I made last year. Or if you like simple Christmas trees that are great for showing off ornaments, check out these other DIY trees. How many Christmas trees do you have in your home? 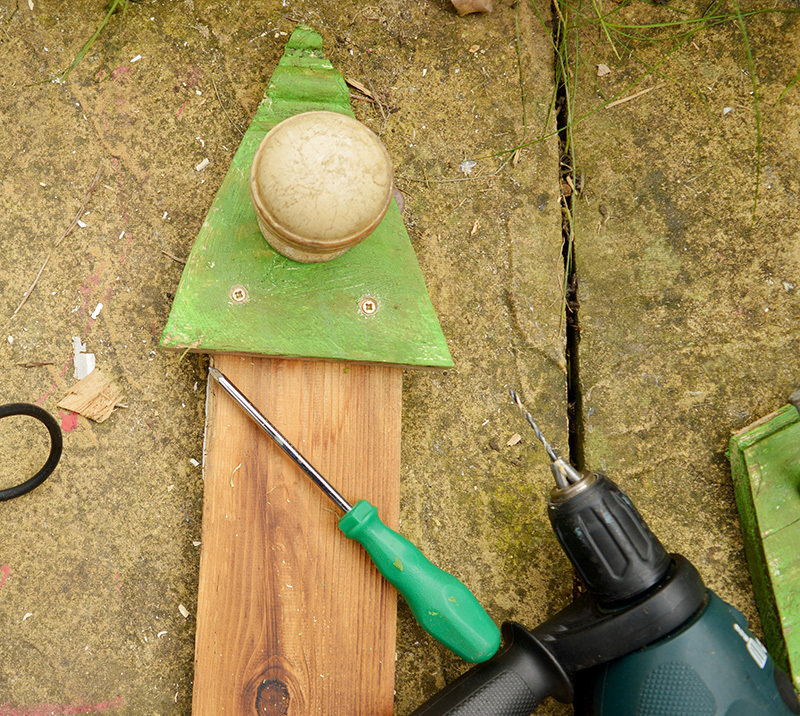 For more repurposed and DIY wood projects visit the DIYideacentre. 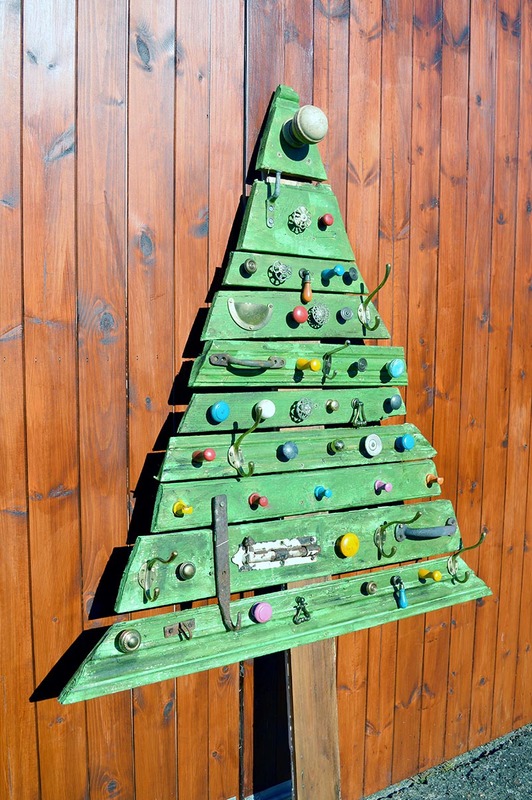 This is the most unique and creative Christmas tree I’ve seen and I absolutely love it!! It’s inspiring! Thank you so much for sharing it at Party in Your PJ’s. Adorable! I am featuring your Christmas Tree today on Snickerdoodle. Pinned. So creative and very unique. I love it. Thanks for linking up to More the Merrier Monday. Can’t wait to see what you’ll be linking up next week. I couldn’t remember if I commented on this before – but oh well if I have this post deserved two comments! 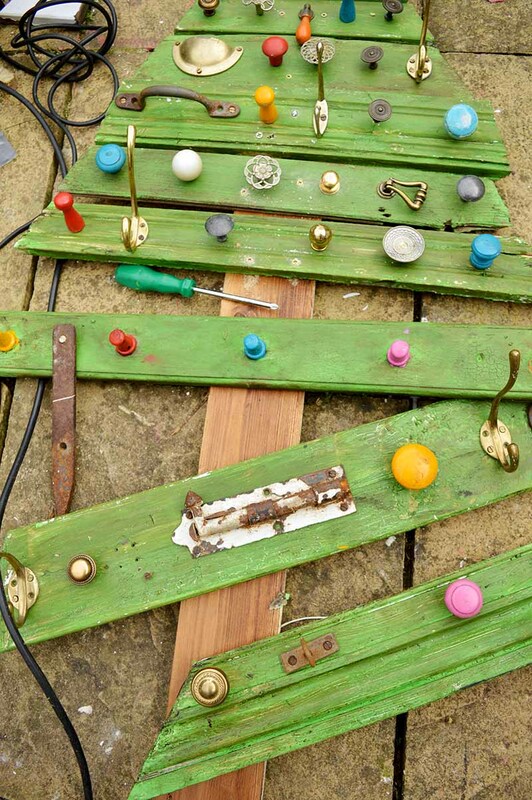 Great way to use knobs Claire .. loving this! And like you said – a total space saver! Thanks, Medina. I would have loved some of the knobs from your project. I’m going to start collecting more of them for other projects. Thank you so much and I look forward to seeing the feature. The knobs on this tree are so gorgeous I love all their clunky vintage goodness. 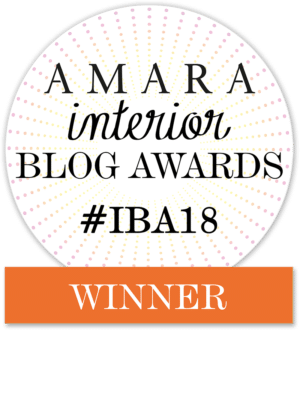 Your blog posts are always so unique and one of a kind. Thank you Leanna, that’s very kind of you to say so. Oh my goodness I absolutely love it, just my style! Very creative! Stopping by from Tip Me Tuesday. That’s brilliant, what a lovely tree. We just have the one in our house, and it has every decoration we’ve ever had on it! I love the idea of these flat trees though, I’m sure we have a space for one somewhere. Thanks, Julie, flat trees are great. You still get to hang all your favourite decorations. Ahh thank you Amber. It is my favourite Christmas tree I’ve ever made so far too! Thanks so much Lisa and thank you for the share! 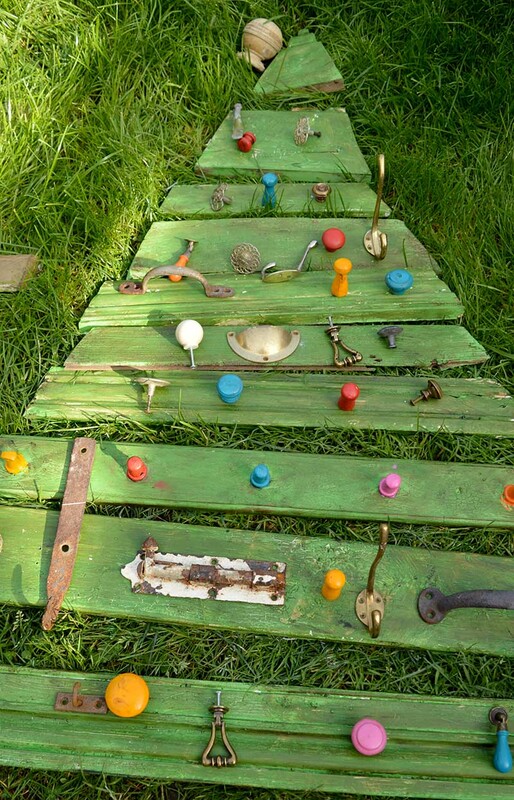 LOVE it–best pallet tree I’ve seen! Thanks for sharing at Vintage Charm. Pinned and tweeted! Thank you, Cecilia, that’s very kind of you to say so. Very clever way to have a Christmas tree that doesn’t take up a lot of room! 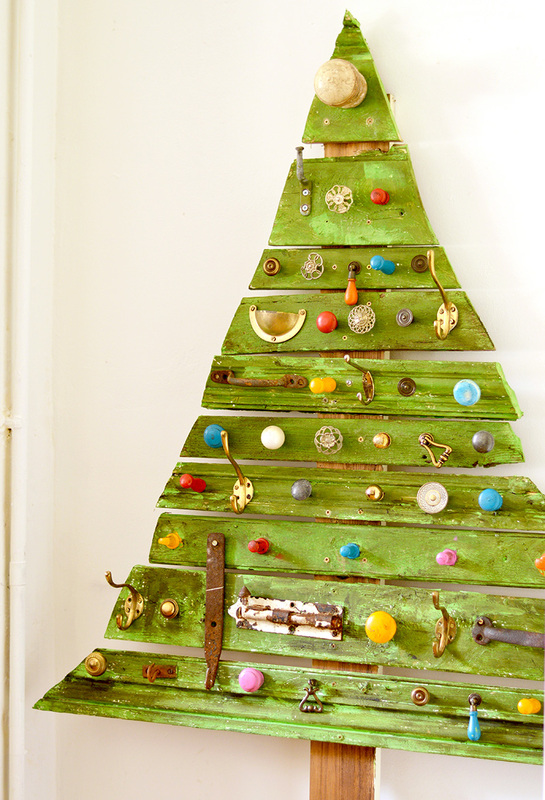 My junker heart loves the junk knobs and things on the tree! Totally my style…love it! Thank you. 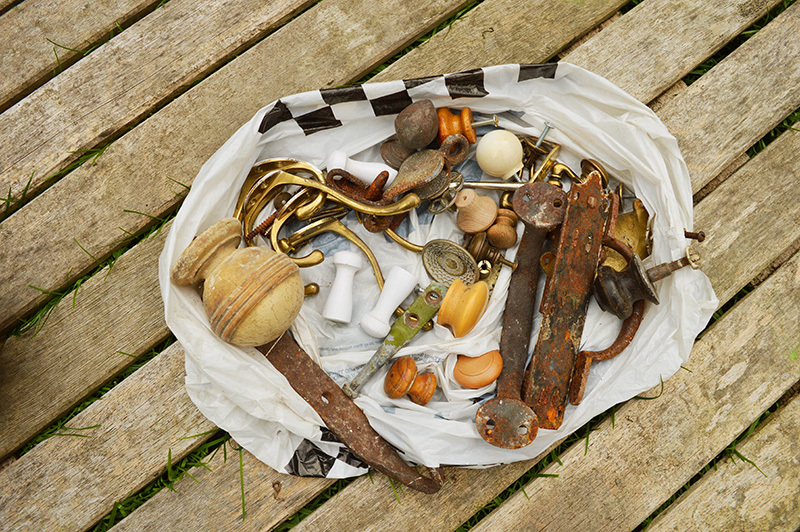 I have a lot of Junk I can’t stop picking bits out of skips (dumpsters), so it’s great to finally use some of it. Love this. It’s perfect and awesome and so fun! Saw this on the Sweet Inspirations link party. Grinned and pinned! Ahh thank you so much and thanks for the share. OMG! This is so clever! I love it! You’re one talented lady! I think I might even try it myself! It was very simple, just a lot of skip diving to collect the bits of wood. Thank you. Oh my goodness, what a fun idea! That really is so cool! Now my head is spinning with ideas! Thank you, glad to hear I sparked some ideas! Thank you so much. I loved collecting all the knobs for this project. This is a fantastic idea. What fun to select the knobs and you are done decorating leaving time to enjoy the holiday. Thank you. I still have plenty more decorating to do yet though! Oops… I guess I just submited my comment to the contact form. Well, here again as a comment: I totally love your idea of flat Christmas trees and do like both your versions. Maybe will try one too, as one Christmas tree is never enough. Thank you, that’s the beauty of flat Christmas trees they take up so little space that you can have more than one. Thanks, the ironmongery is my favourite too! wow this is so so clever Claire, honestly your ideas and projects just get better and better! Ahh that’s very kind of you to say so, thank you Medina. Your Christmas tree is awesome and makes me smile, Claire. I love all the hooks and knobs. It’s such a great idea! Thank you very much, Julia. Thanks, I love a flat tree this is my second one! Thank you, they are fun to make.